The company began looking to leave Fairfield, Conn., last year after state legislators threatened to raise corporate taxes. General Electric on Wednesday announced it will move its headquarters to Boston, making the iconic industrial giant the biggest company ever to relocate to the city and cementing the region’s reputation as a magnet for innovation. The decision by GE to move its headquarters — and deliver about 800 jobs — from suburban Connecticut to the Seaport District follows a feverish campaign by Massachusetts officials, who beat out New York, Providence, and several other cities. City and state officials are offering what could be one of the richest incentive deals in the state’s history — together valued at as much as $145 million — to lure the company here. But GE officials pointed to Greater Boston’s concentration of elite universities and nimble tech firms as the main draw. “We want to be at the center of an ecosystem that shares our aspirations,” chief executive Jeffrey R. Immelt said in a statement. Immelt is in the midst of a protracted effort to transform the 124-year-old company, selling most of its finance businesses to focus on industrial lines such as power and clean energy, aviation, and health sciences. Many of those sectors are becoming increasingly reliant on advanced software and communications technology. GE, which has a market value of nearly $290 billion, said it will move some employees to a temporary space in Boston starting this summer. The full move from Fairfield, Conn., will take place in several steps through 2018. It’s a major victory for Governor Charlie Baker and Mayor Martin J. Walsh, whose aides worked closely together since the summer to bring GE to the area. The city has seen many of its biggest companies swallowed up by out-of-town buyers, and the state has labored hard to shed the “Taxachusetts” label. Two top GE executives informed Baker and Walsh in simultaneous phone calls Wednesday morning. The company had been expected to issue its statement about the move on Thursday, but confirmed the relocation hours after it was first reported by The Boston Globe. GE has not yet picked a site for its new offices but is focused on the South Boston Waterfront. One site that had been considered is on Summer Street, overlooking Fort Point Channel; another is owned by the Massachusetts Port Authority, next to the MBTA’s World Trade Center Station on the Silver Line. The company is also weighing other sites in the Seaport, an area that’s also branded as the Innovation District. The exact size of the incentives will depend on the property the company picks. City officials said they are prepared to offer as much as $25 million in property tax relief. The state package could be valued as high as $120 million and could include a variety of benefits, such as grants, tax incentives, infrastructure improvements, and help with real estate acquisition costs. Walsh said the expected property tax revenue that will come to the city will far outweigh what it gives up in future taxes. The company comes with plenty of baggage, too. Many people remember GE’s long-ago pollution of the Housatonic and Hudson rivers, contamination that is taking decades to clean up. The conglomerate is also known for its skill in finding tax advantages: Critics say it often pays minimal corporate taxes in the states where it does business. 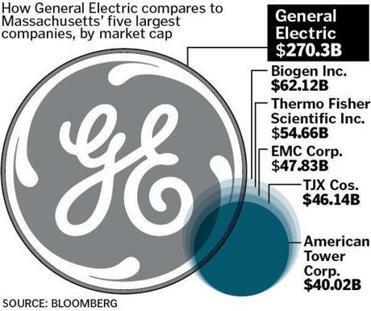 At nearly $130 billion a year in revenue, GE ranks eighth on the Fortune 500 and would be far and away the largest publicly traded company based in Massachusetts. The company already employs nearly 5,000 people in this state, out of a global workforce of more than 350,000. The decision to leave Connecticut caused widespread disappointment in that state. “Taken as a whole, there is no denying that Connecticut has had more good days than days like today,” Governor Dannel Malloy said in a statement. In the end, many observers said the competition came down to a classic rivalry, New York versus Boston. This time, at least, Boston won. “I don’t think you can underestimate psychologically how important of a win this is for the state,” said Jerry Sargent, the head of Citizens Bank’s middle-market business. What does GE’s headquarters bring? There are the jobs, for sure. About 800 people work at the Fairfield headquarters. Its new Boston office will include 200 corporate jobs and about 600 tech-oriented jobs: designers, programmers and the like. Many of the jobs will come from Fairfield, but others will come from other locations or be new to the company. 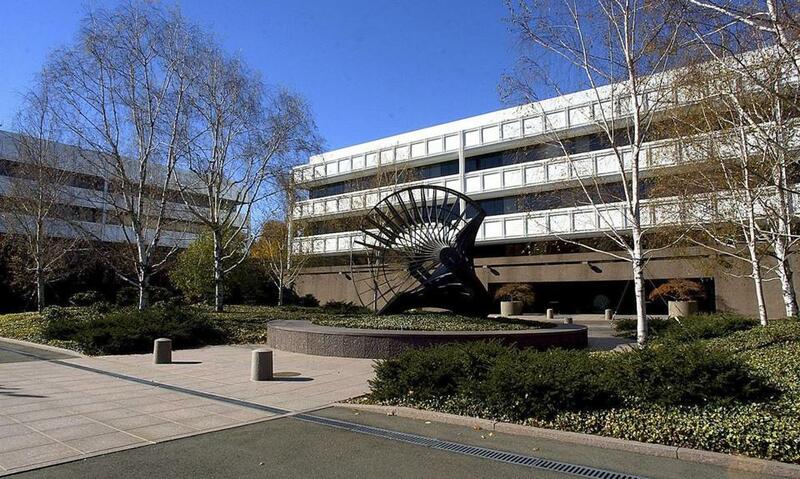 GE said it will sell the Fairfield complex and its 30 Rockefeller Plaza offices in New York City to help pay for the move. Those new jobs alone won’t be a game-changer for Boston. The state usually adds much more than that in any given month. 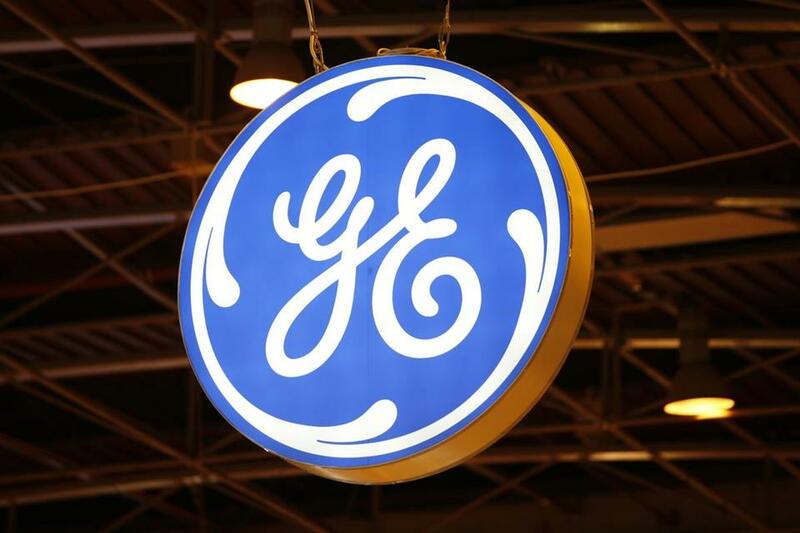 But there’s the inevitable ripple effect: GE is expected to be a draw for other technology companies, particularly those in the “Internet of Things” sector that specialize in software and hardware to connect various devices. There’s also the promise of philanthropy, a new corporate titan to add its muscle to local civic affairs. And then there are the bragging rights. Landing one of the world’s biggest companies unfurls a giant banner, one that essentially says “We’re open for business” to the world. GE had been expanding in other ways in Massachusetts, even before this announcement. The company opened a new US headquarters for its Healthcare Life Sciences unit in Marlborough last year, bringing hundreds of jobs. And in October, GE unveiled plans to create a division focused on lighting and energy technology that would be based in this area. But GE is closing down a valve factory in Avon, eliminating roughly 300 local, largely blue-collar jobs — and shifting the work that’s done there to a new plant in Florida. GE’s quest for a new global headquarters can be traced back to a decision by Connecticut officials last spring to significantly change business tax policies, to help fill a big state budget gap. That move prompted Immelt in June to write an irked memo to GE employees, saying that the unfriendly business climate had prompted his leadership team to consider moving the headquarters out of state. The General Electric Co., corporate headquarters campus in Fairfield, Conn.
“It was a tipping point over several years of concern over the lack of predictability of what the [business] environment was going to be in Connecticut,” said Joe Brennan, chief executive of the Connecticut Business & Industry Association. GE wasn’t the only big company that was upset. It was, however, the only one to publicly suggest that it could be headed elsewhere. Leaders in Boston City Hall took notice, almost immediately. “The minute we heard GE was looking to explore their options, we reached out to GE that day,” Walsh said in an interview Wednesday. Boston-area business and political leaders together made their case to GE executives at Tresca, a North End restaurant, in September. State and city officials said they believe this united front impressed the company. Despite its older “Taxachusetts” reputation, Massachusetts actually ranks in the middle of the states when it comes to business taxes. The Tax Foundation, a Washington think tank, in November ranked Massachusetts 25th. Connecticut was 44th. But in the end, it was Boston’s tech-savvy workforce and the area’s deep bench of universities that Immelt chose to highlight in Wednesday’s announcement. Shirley Leung of the Globe staff contributed to this report. Jon Chesto can be reached at jon.chesto@globe.com. Follow him on Twitter @jonchesto.